Catling’s Bane, Book 1 of the Rose Shield, offers the reader an amazing journey into a world so believable that the characters seem to come alive on the page. This beautifully written science-fiction pulled me into a world that glitters with luminosity. The author reveals this world with descriptions so vivid, so rich in detail that we forget completely, that it is a fictional world. I was completely captured within this incredible world, created by the author, D. Wallace Peach. The next author with a recent review is Barb Taub with her memoir, Do Not Wash Hands In Plates..
A trip to India would be wonderful. The places this author describes are awe-inspiring. But, to be honest, it was the writing that left me unable to put this book down. It’s hilarious. The best kind of funny—deadpan. Barb Taub is the kind of person who could make a trip to the dentist sound funny. After I finished reading, I wanted to email her to grab a beer (or chai) and listen to her tell stories. That would just be weird. So I didn’t. But still. I felt her joy (and pain) as she traveled. Loved hearing how she and her two friends got from here to there, what they ate, and the little conversations only good friends can have. I also enjoyed the tidbits about Indian medicine sprinkled throughout the book. 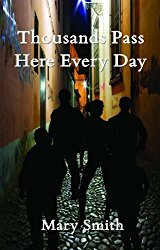 A unique and humorous travel memoir by a talented and humorous author. And the final author today is Mary Smith and a recent review for a wonderful novel No More Mulberries that I can highly recommend.. I always enjoy a love story set in another culture because reading feels like a voyage of discovery. 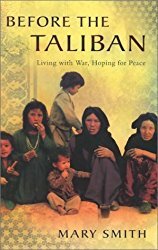 The kindness of the Afghan people warmed my heart as I followed the central character. The setting is completely alien to me, and I loved this backdrop. People get on with their daily routines in spite of the war in Afghanistan. Scottish born Miriam has to adjust to the rhythms of Afghan life but experiences conflict. Smith manages to identify those elements of a new culture that alienate Miriam. The simple things we value are not familiar in Afghan culture. I found the conversation between Miriam and Fatima poignant. ‘Don’t you ever feel like walking – just getting out? In Afghan culture women do not have thinking time. All the small differences contribute to Miriam’s sense of unease. 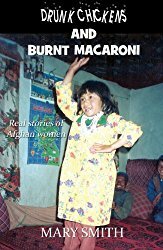 The pivotal value of Afghan culture is ‘this thing about face – respect – reputation – honour.’ But to understand how this translates into the culture one has to read the book. Charting Miriam’s marriages, this is a love story with a difference. Miriam goes on a journey of discovery to find out ‘what happened to the woman who married Jawad’. No More Mulberries is a sensitive examination of love and cultural barriers. A fascinating read! This entry was posted in Book Promotion, Sally's Cafe and Bookstore, Sally's Cafe and Bookstore Update and tagged Barb Taub, D. Wallace Peach, Mary Smith Writer by Smorgasbord - Variety is the Spice of Life.. Bookmark the permalink. Thanks so much for highlighting this lovely review, Sally. It’s wonderful when a reader ‘gets’ your story. And, it’s lovely to be in such good company today. Loved the book, Barb (as you can tell). 🙂 Thanks so much, Sally, for sharing my review of it. You are in fab company. Three amazing authors! I’ve read Barb Taub’s book and recommend it as well, and I hope to get to the others soon. Great reviews, congratulations to the author, and thanks, Sally, for the updates. Absolutely delighted Sally Cronin has included a lovely review of No More Mulberries in her post today – and I’m honoured to share the post with two wonderful writers, D Wallace Peach and Barb Taub. Three wonderful reviews and books, Sally. So many books, so little time. Supurb authors and great reviews, Sally. Congrats on the wonderful reviews! All amazing authors! Such wonderful reviews too. Well deserved. Fabulous reviews, Sally. Congratulations to Diana, Barb, and Mary for the great recent reviews. Amazing collection of authors here today, Sally. Thanks so much for sharing my review of Barb’s book. As you could tell, I loved it. 🙂 Looking forward to reading some of Mary Smith’s books and carving out some time for Diana’s wonderful writing, too.